Robertson has started work on the redevelopment of the Edinburgh sports ground which hosted the world’s first international rugby match. The Raeburn Place Foundation, the charity responsible for the site, intends to transform the ground which is the home of Edinburgh Academical FC – creating a modern sports hub which has the community at its heart. This contract, due to complete this autumn, will see the creation of nine commercial units, temporary changing facilities and function space. Eight of the nine units have already been let to tenants including Marks & Spencer, Waterstones and Edinburgh-based hairdressers, Charlie Miller. 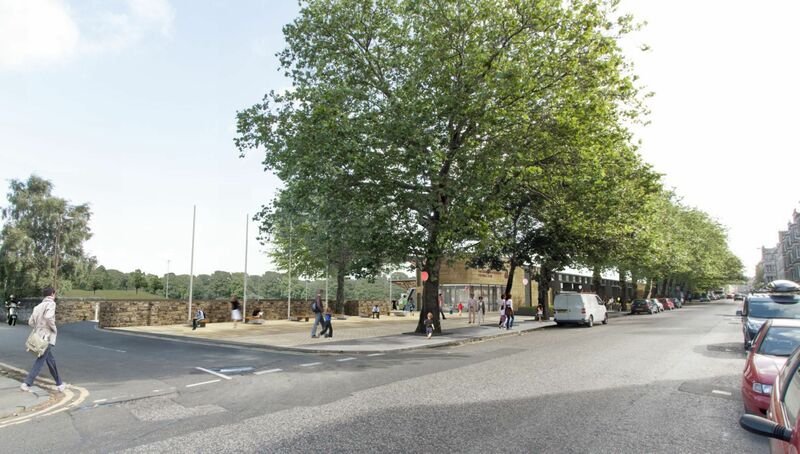 Once complete, the Stockbridge ground will boast first-class sports and recreation facilities and a Museum of International Rugby. This will showcase the heritage of the site and its pivotal role in the sport, which saw it host the first rugby international in 1871 and the first Calcutta Cup match in 1879. Infrastructure firm Robertson carried out enabling works at Raeburn Place in 2017 and has now commenced construction work on the significant project. David Newlands, chairman at the Raeburn Place Foundation, added: “This is a momentous day for the trustees and all involved in the project. The development will transform Raeburn Place into a sports hub and community resource, thereby improving lives through sports, which has been our vision from day one.